The effort to find rocket-powered scale models of the Avro Arrow that were fired into Lake Ontario in the 1950s hit paydirt recently and the result will be displayed to media Sept. 8. Raise the Arrow leader John Burzynski confirmed Thursday that sonar, still and video images have confirmed the discovery of one of the models. “We are very pleased and tremendously proud to announce that we have discovered the first example of one of the Arrow models,” Burzynski said. 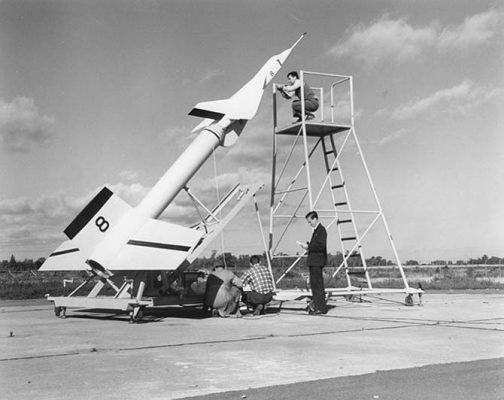 The model aircraft were used for aerodynamic testing as part of the design process and nine were shot into the lake from Point Pelee on Neme rockets. One of the rockets has also been found. Details of the recovery are expected at the news conference. The Canada Air and Space Museum has been promised the first one and the search effort is not ending with this example.